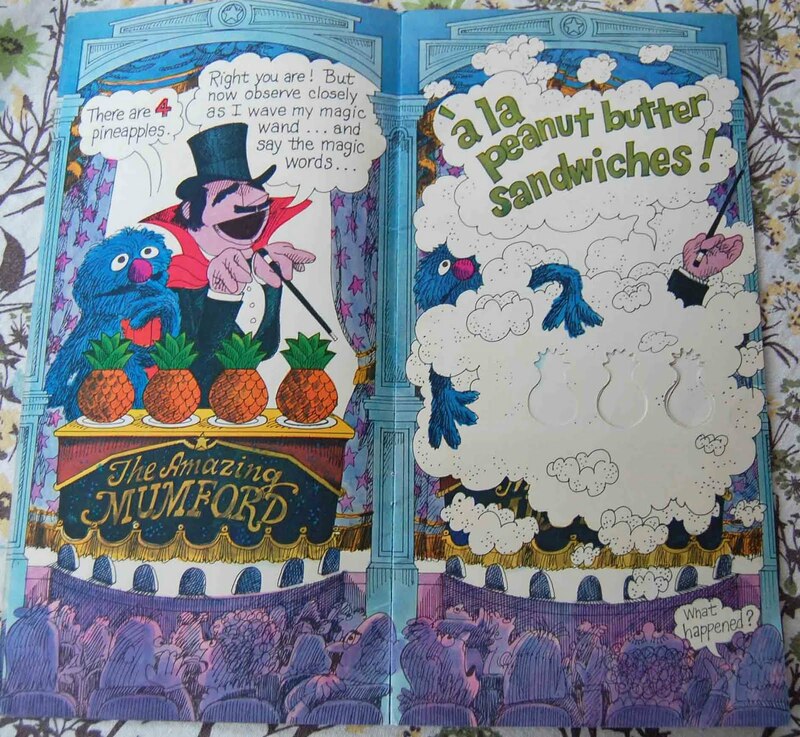 Once again, I'm ending the week with an old school Sesame Street book. Sorry for the jam up, I'm just realizing I still have so many to share before the point becomes moot altogether. That said, this is probably the last time I'll ever buy a Sesame Street book online, but when I saw it last week in an Etsy shop, I couldn't resist. 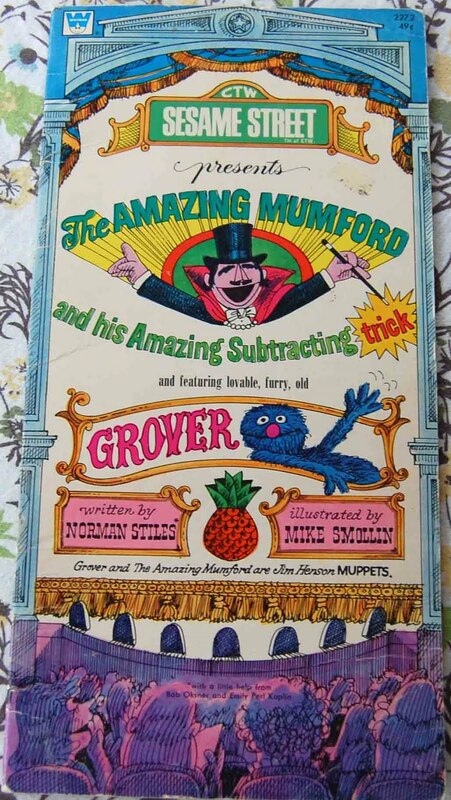 The boy is eating it up too as The Amazing Mumford is one of his favorite characters, due to the fact that the dude is totally wacky and weird and hilarious. I'm enjoying it because I do remember having this one from childhood and Grover has always been the personal fave. 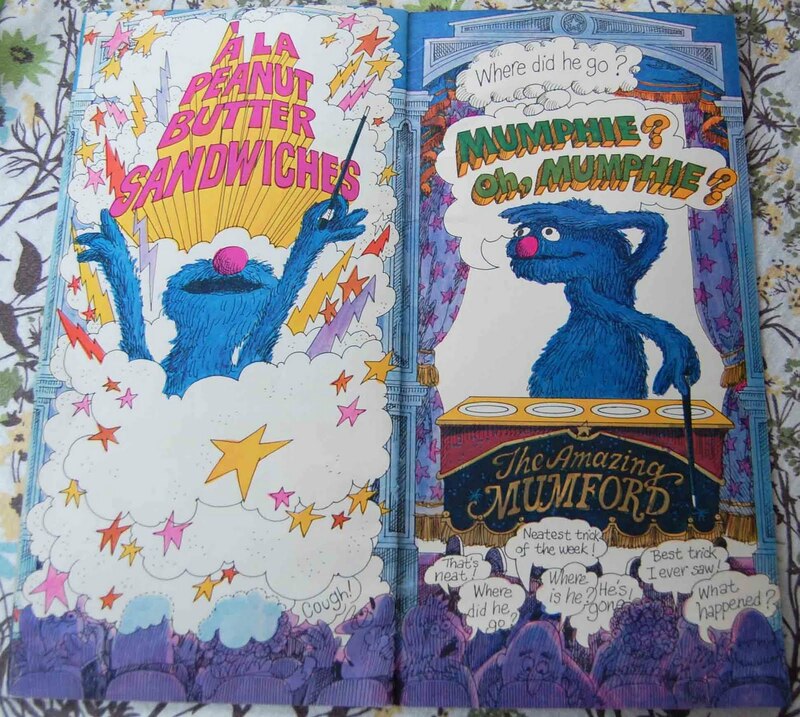 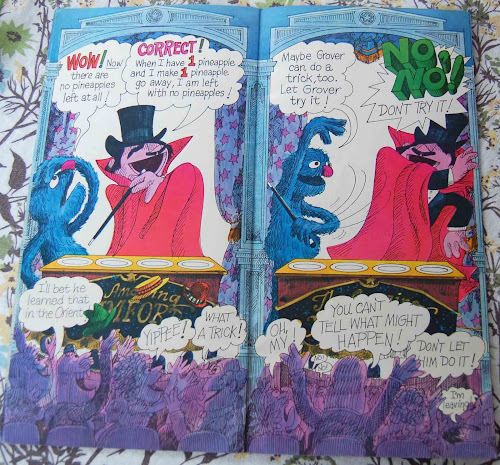 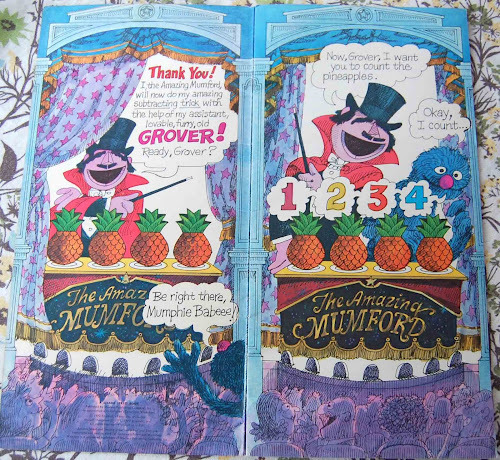 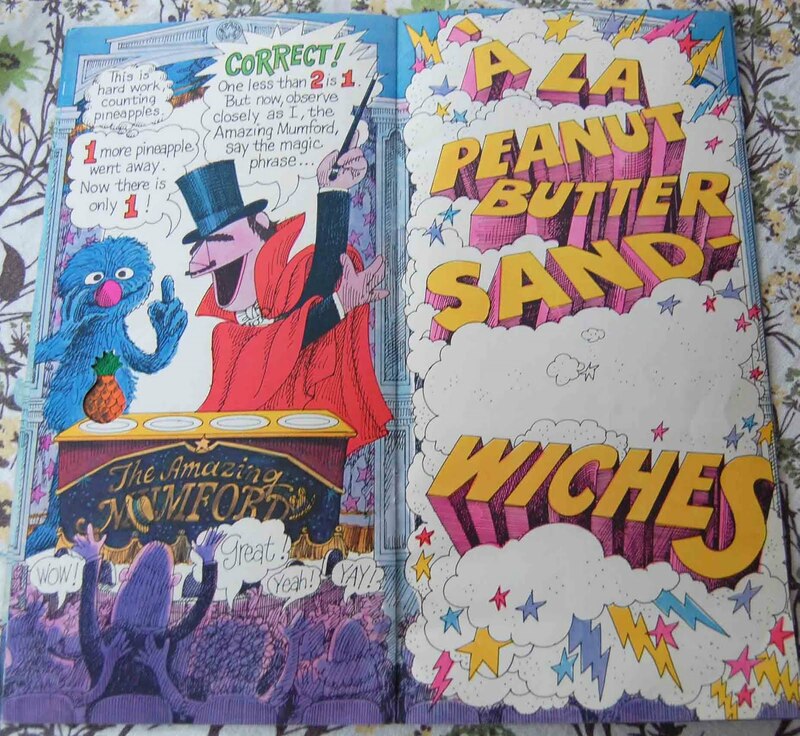 Once again illustrated fantastically by the incomparable Mike Smollin (creator of the still-in-print The Monster at the End of This Book), and taken from a skit that originally aired on the show in 1971, we see Mumford attempting to make a series of pineapples disappear, one after the other, until Grover takes over the magical reigns and makes "Mumphie" go bye-bye a la peanut butter sandwiches. Classic Sesame Street shtick. 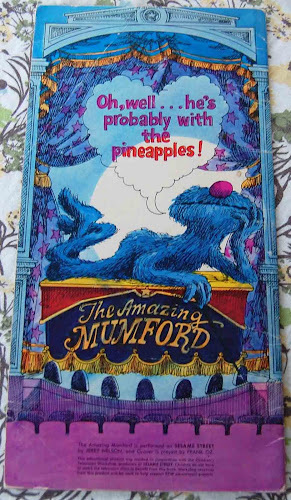 Enjoy and happy Friday!